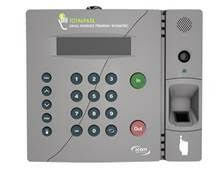 Eliminate buddy punching with the Total Pass Small Business Premium Biometric time clock. connect together over a network or the Internet. To order any of the time clock products, call us at 1-888-407-0624 or email [email protected].